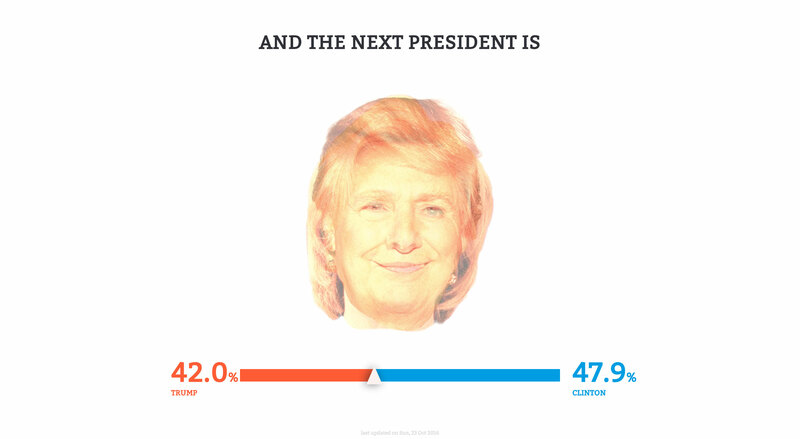 Single Serving One Pager that blends the two US presidential candidates into one character illustration based on the current polls. In this election America has created a monster. Poll visualise it best, see for yourself.